In California, "they're rioting now" over sanctuary cities. By Louis Jacobson on Tuesday, October 23rd, 2018 at 4:10 p.m.
Down the stretch in the midterm elections, President Donald Trump has escalated his rhetoric over immigration. For instance, during an Oct. 20 rally in Elko, Nev., he criticized "sanctuary cities," a somewhat fuzzy term that refers to localities that limit their cooperation with federal immigration enforcement authorities. "I don't think we like sanctuary cities up here," Trump told the crowd in Nevada. "By the way, a lot of people in California don't want them, either. They're rioting now. They want to get out of their sanctuary cities." Is it really the case that in California, "they're rioting now" over sanctuary cities? We found no evidence of it. Reporter: "Hey, Mr. President, you said Californians were rioting over the sanctuary cities. Where?" Trump: "You shouldn’t have — take a look. They want to get out of sanctuary cities. Many places in California want to get out of sanctuary cities." Reporter: "But that's not rioting, sir, right?" Trump: "Yeah, it is rioting in some cases." Reporter: "Where are the riots, sir?" At that point in the media availability, Trump turned to an unrelated question. It’s worth noting that there is no broad consensus on the question of whether sanctuary cities are good policy. And the battle has moved to the courts. 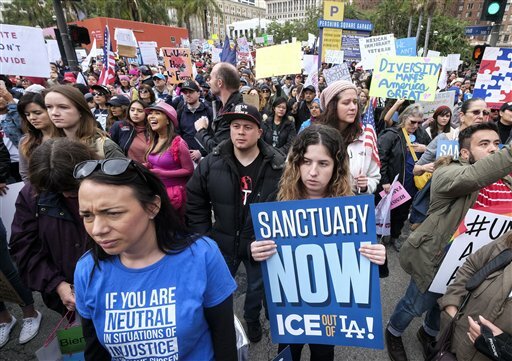 In addition to stepping up efforts to get cities to cooperate with federal officials, the Trump administration sued California over its sanctuary law. The populous and historically Republican Orange County in suburban Los Angeles moved to join the lawsuit against the state. However, the existence of discontent in some quarters doesn’t mean that riots are under way, or were recently. We found nothing of the sort in Google searches, and officials from California who would be in a position to know said there was nothing to Trump’s assertion. "Short answer: no," said Evan Westrup, a spokesman for California’s Democratic governor, Jerry Brown. Jonathan Muñoz, a legislative assistant with the California Police Chiefs Association, agreed. "The California Police Chiefs Association is unaware of any riots taking place as a result of the state’s sanctuary city policy," Muñoz said. "What we do know is that some cities are challenging the policy in court, but that’s as far as anyone has gone to my knowledge." 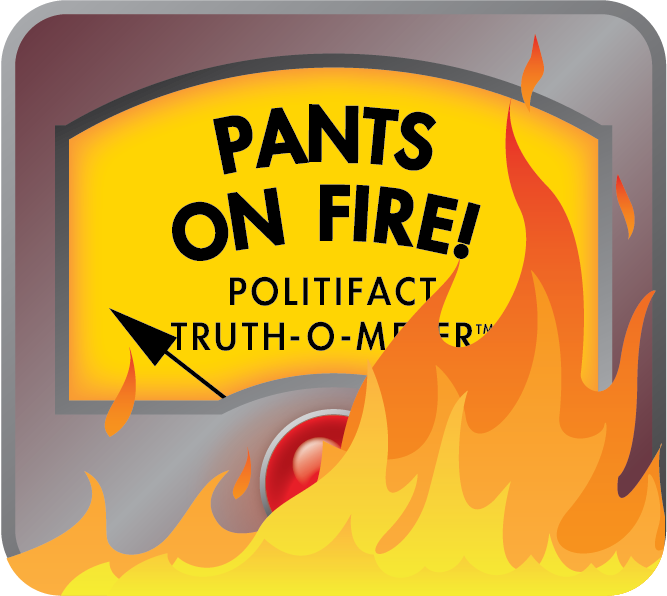 Trump said that in California, "they're rioting now" over sanctuary cities. There is no evidence to support that assertion. We rate the statement Pants on Fire. Published: Tuesday, October 23rd, 2018 at 4:10 p.m.